Calling all USVI swimmers, snorkelers and divers! 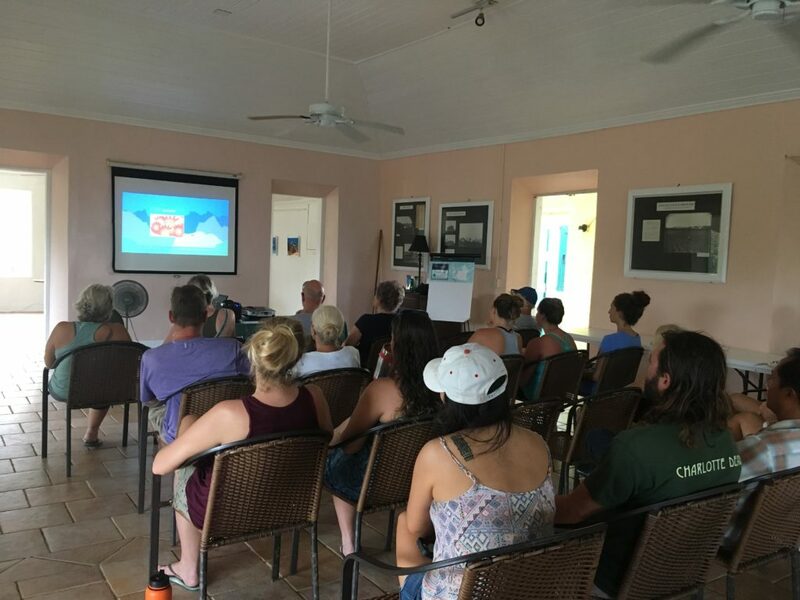 BleachWatch is a community based program that asks volunteers to submit brief observations about reef health, especially coral bleaching. 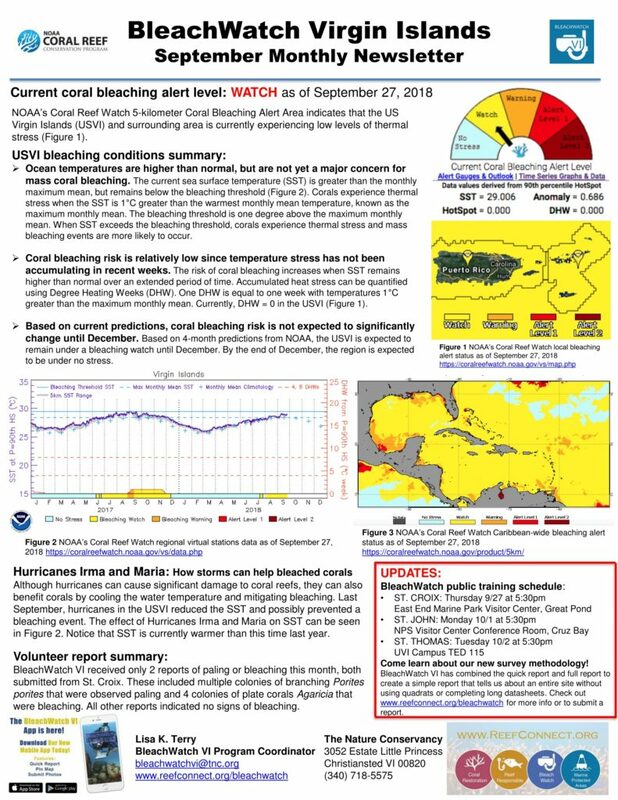 These observations are then used as an early warning system for mass bleaching events. 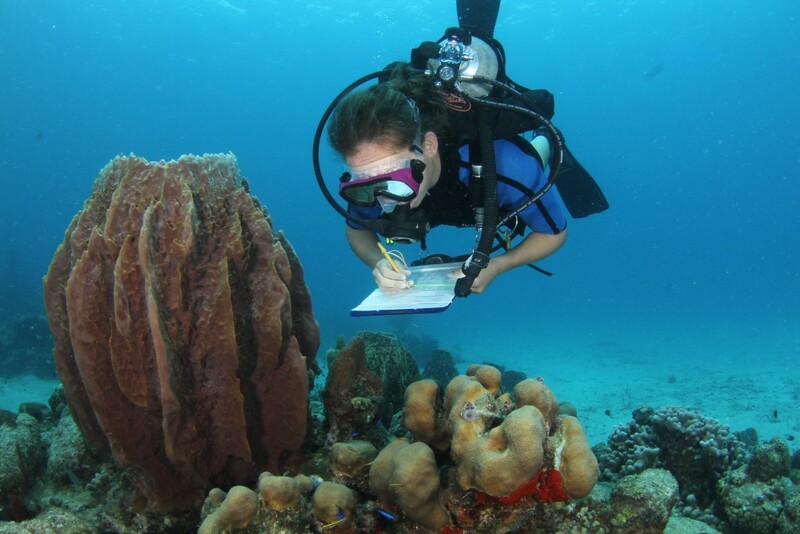 The BleachWatch VI observations are used to guide further survey efforts and to inform conservation efforts. 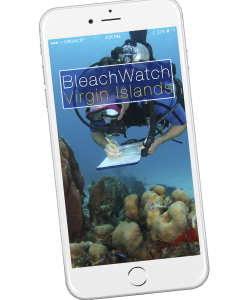 BleachWatch can also be used to report other reef disturbances like coral diseases, marine debris, boat groundings, or invasive species. 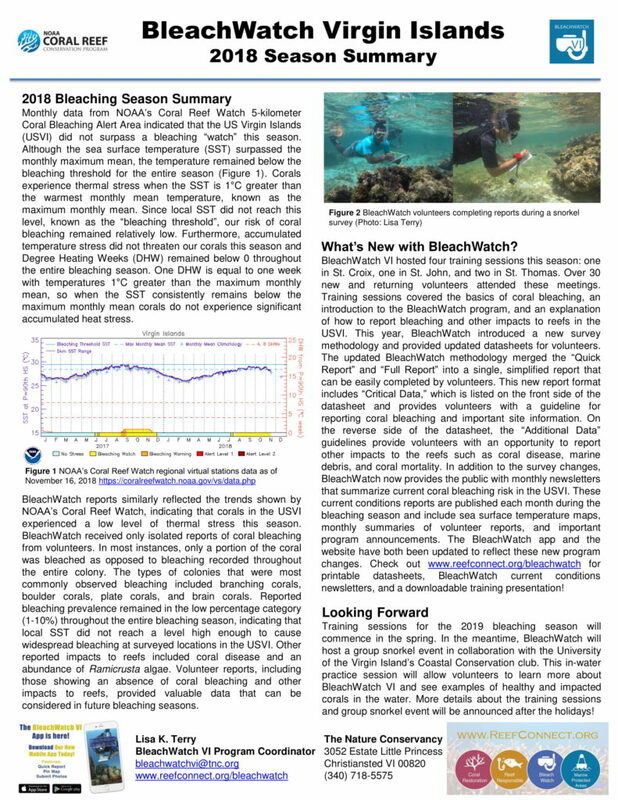 BleachWatch VI aims to collect data year round about the status of reef health. 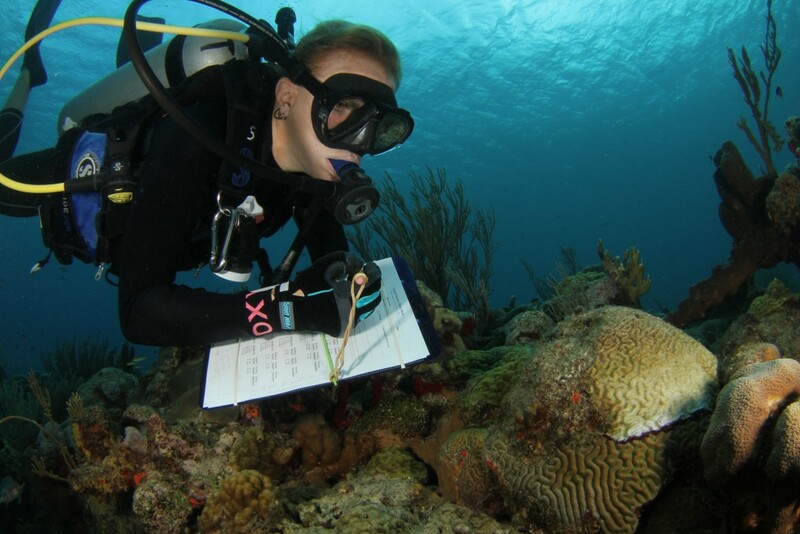 By collecting observations before, during and after bleaching events we are able to establish a baseline of data and gauge the resiliency of reef sites. 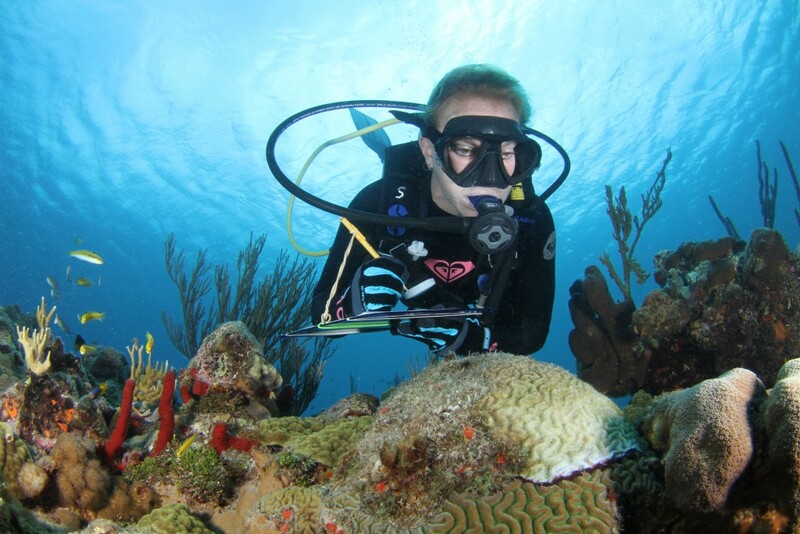 Do you swim, snorkel or dive on reefs around the USVI? We want to hear from you! 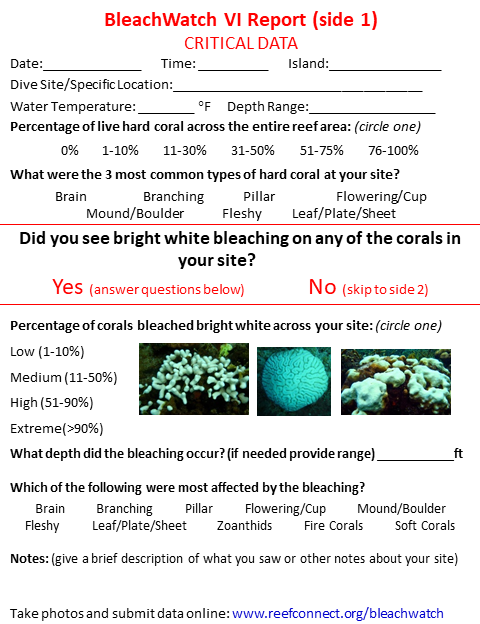 Submit your observations via email, the Reef Connect website, or the BleachWatch VI app. 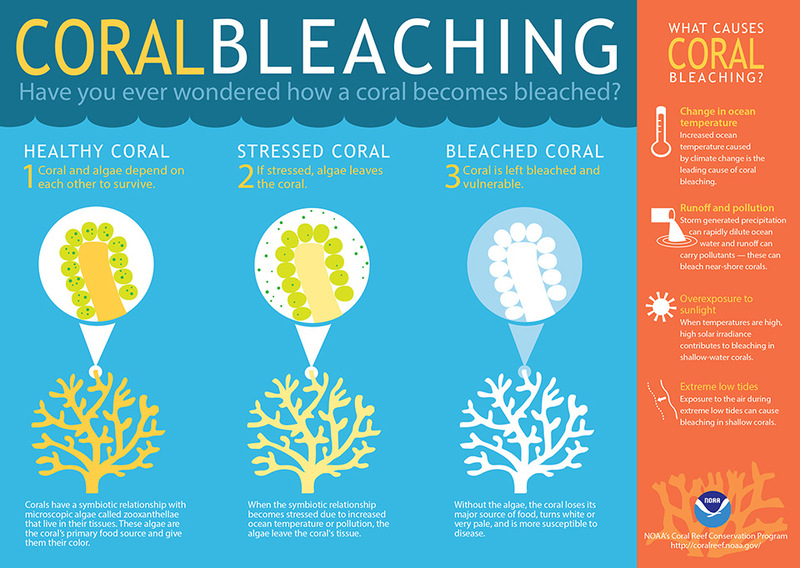 Environmental stressors that can cause coral bleaching include extremes in temperature or salinity, pollution, sedimentation, low oxygen or disease. 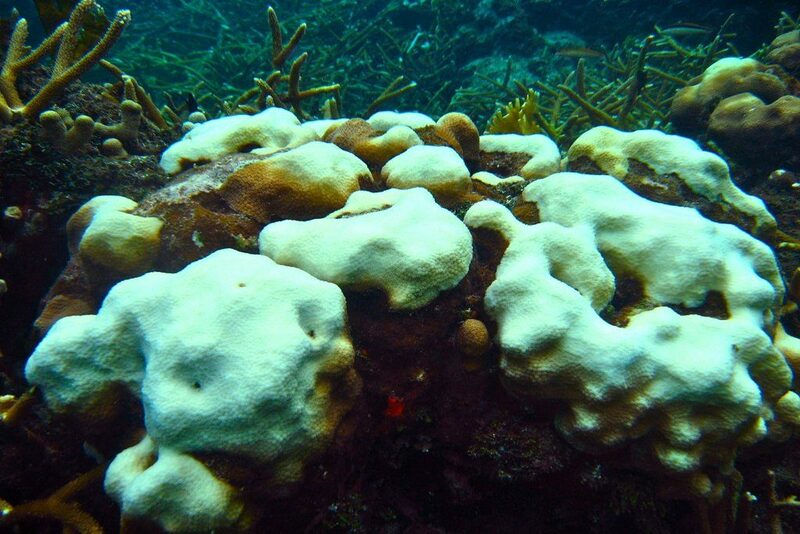 Bleached corals are still alive and if environmental conditions return to normal rather quickly, the corals can regain their zooxanthellae and survive. However, if stressful conditions are prolonged, the corals become more susceptible to disease, predation, and starvation. Localized or colony specific bleaching has been recorded for over 100 years, but only in the last couple decades have we seen mass coral bleaching events (when a wide range of species bleach over a large area). 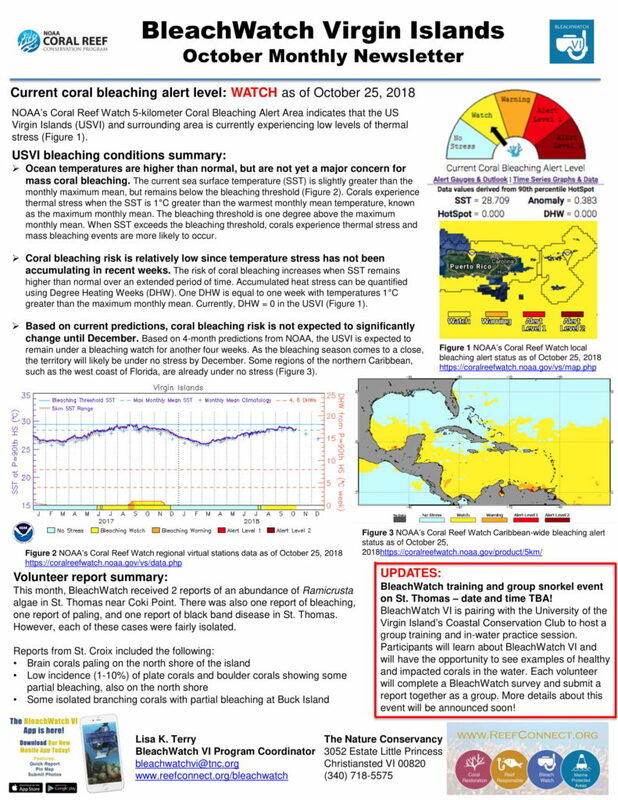 The most common cause of mass coral bleaching is elevated water temperatures (even 1 or 2 degrees C) and increased UV radiation due to calm weather and clear skies. Recovery after bleaching events can be slow and adversely affected by other local stressors like pollution, sedimentation, overfishing and coral disease. 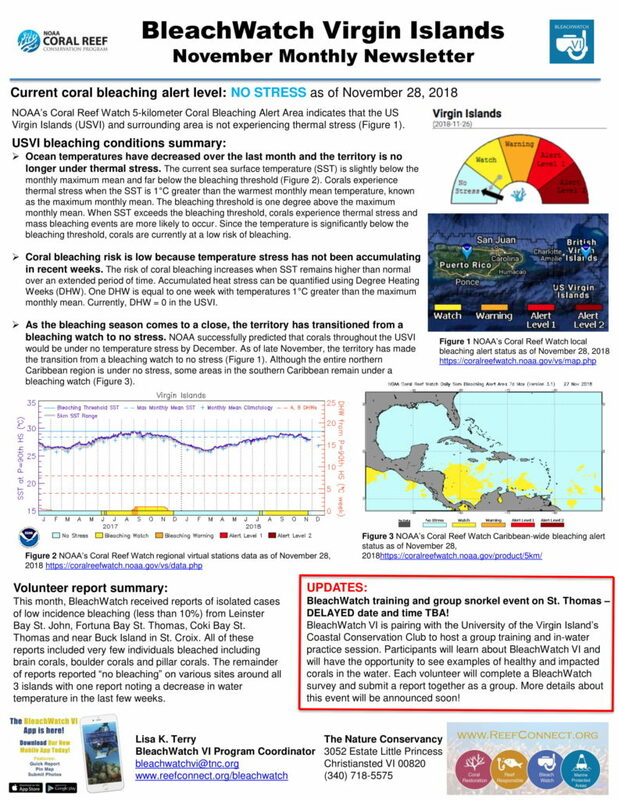 Consistent monitoring of reefs before during and after bleaching events can help inform conservation efforts. Resilient reefs that bleach and then easily recover or reefs that don’t bleach at all should be priorities for protection. 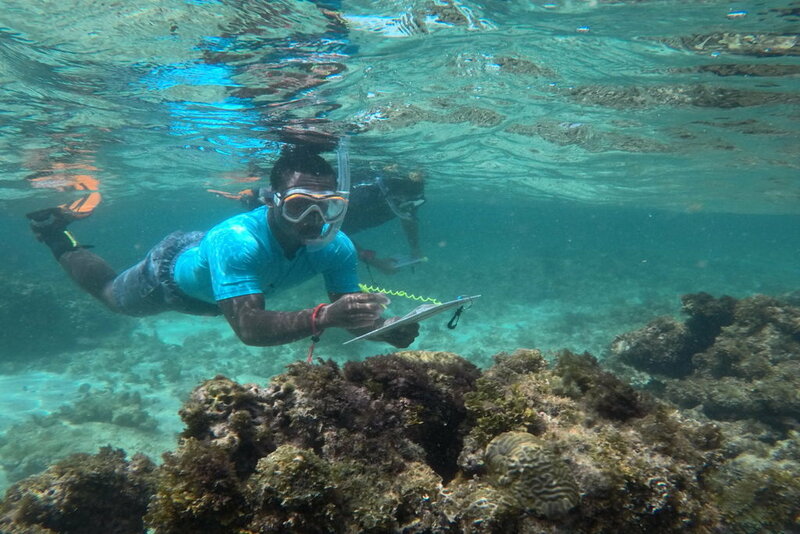 Areas where reefs are more susceptible to bleaching could benefit from measures to reduce local pressures on reefs alleviating some of that stress during peak bleaching season. Attend one of our community trainings or review the training presentation to learn more about what to look for at your sites. 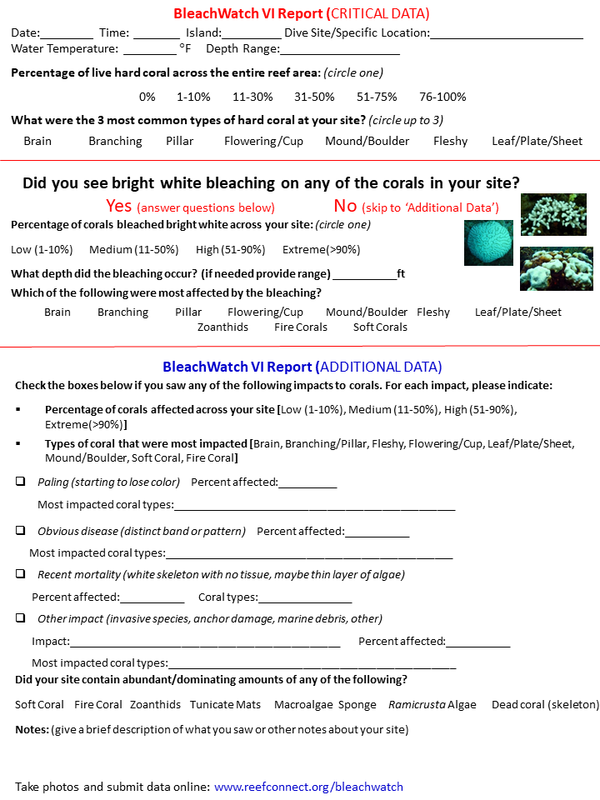 Use the BleachWatch VI Report Datasheet to guide you. 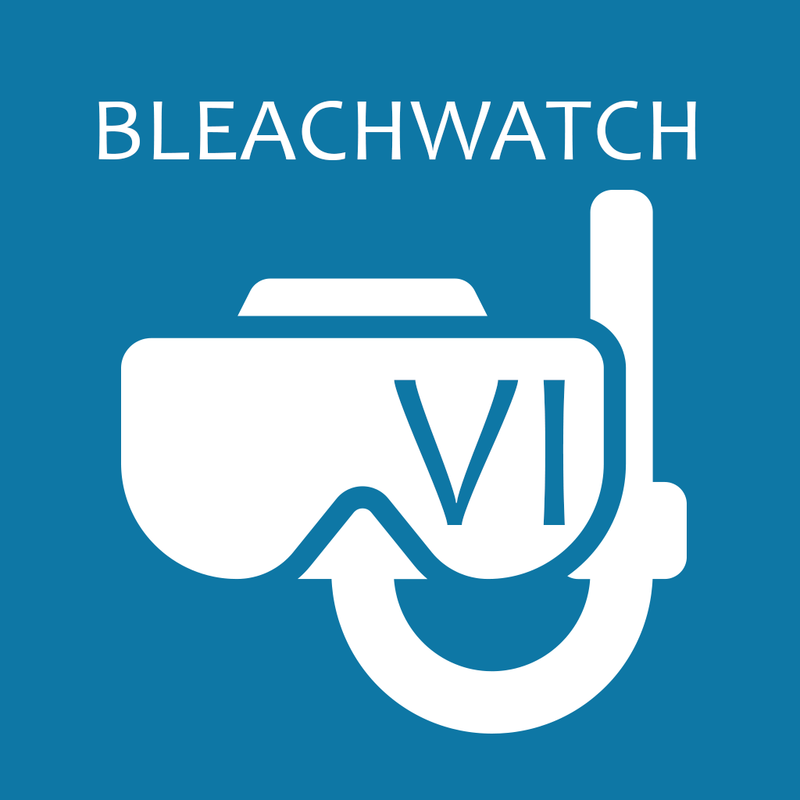 Submit your report here or using the BleachWatch VI app. 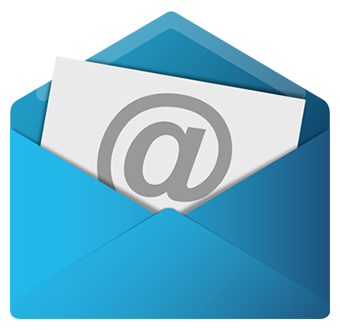 Join our mailing list or follow the Reef Connect Facebook page to stay up to date on the latest BleachWatch VI news! Each year BleachWatch offers public trainings for interested volunteers. This year the trainings will take place on the following dates and locations. 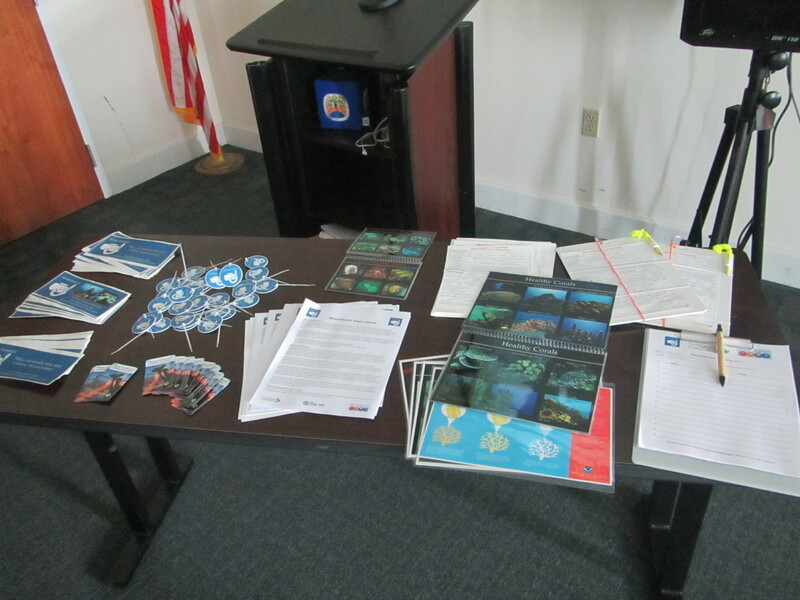 The trainings last about an hour, are free and open to the public and cover information on coral bleaching, the BleachWatch program and how you can help. 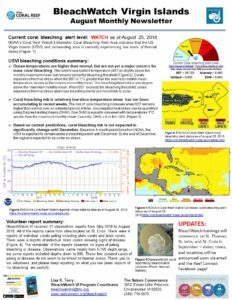 Each month the BleachWatch team brings together the most recent information from the Coral Reef Watch website including sea surface temperatures and satellite imagery with the on-the-ground reports from BleachWatch volunteers to assess the “current conditions” for bleaching events in the USVI. 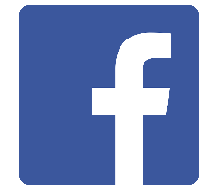 Check out our most recent newsletter below.